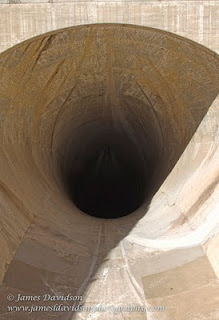 This photo is of one of the two Spillways at the Hoover Dam, it is an immense gaping hole that goes deep down into nothingness. Even in the bright sunlight and 100 degree weather, you feel the heat getting sucked into this black hole... This is an HDR exposure covering 8 stops made from 24 images, yeah a bit of overkill, but I didn't want to get home and realize I didn't have enough latitude, so I went on the safe side, next time I'll know better!! 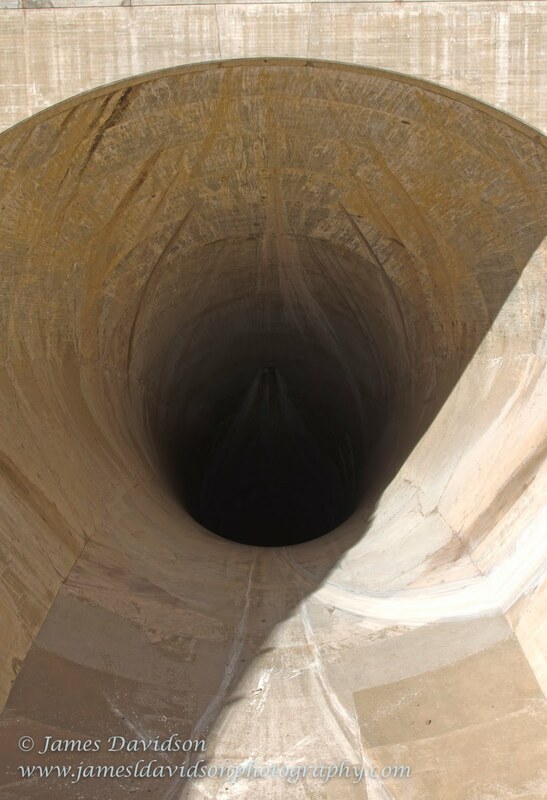 The Spillway tunnel is about 50 feet across and drops 700 feet in elevation with a flow rate of about 200,000 cubic feet per second, that's a lot of water!